For most of us, a massage is a luxury. While that may be true for a massage by a professional masseuse in a salon setting, it doesn’t have to be that way. All you really need to get a massage are your own two hands. I sometimes use a tennis ball that I roll between my back and the wall, and the rolling pressure really works wonders on some of my sore spots! Learning how to give a halfway decent massage isn’t that hard, and if you’re in a romantic relationship, your partner will be eternally grateful! The relaxed setting and close contact are both really great for couples. People have been massaging themselves (and each other) for thousands of years. The Ancient Greeks, Egyptians, Indians, Chinese, and Japanese all have historical references to the art of bodily massage for overall health. The word “massage” itself is a reference to the kneading motion involved being very similar to working with dough (“massa” in Latin is “dough,” while “masso” is the Greek verb “to work with dough”). There are some forms of massage, however, that go well beyond relieving the ordinary neck ache. Using proper pressure applied to the right points of the body, one can experience a wide range of health benefits. Read on to learn more. We’re all familiar with getting a massage, and there are a lot of varieties. … and there’s even whatever this is. One type of massage that’s been getting more recognition lately is reflexology, which stimulates key reflex points (usually on the hands or feet) to help regulate ailments of various parts of the body. Reflexology relies on the fact that you’re a bundle of nerves – literally! By stimulating those key reflex points, reflexology helps stimulate and regulate blood circulation throughout the body. People have relieved headaches, backaches, digestive issues, sleep problems, and more through these techniques. 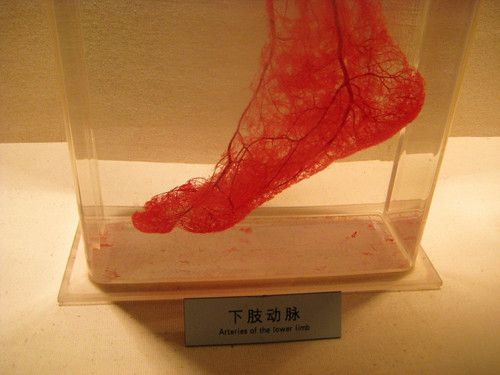 Your feet, in particular, have a lot of nerve endings – over 15,000, in fact. Even though you’re standing on them all day, all those nerve endings make your feet pretty sensitive, which is why they’re so easily tickled! 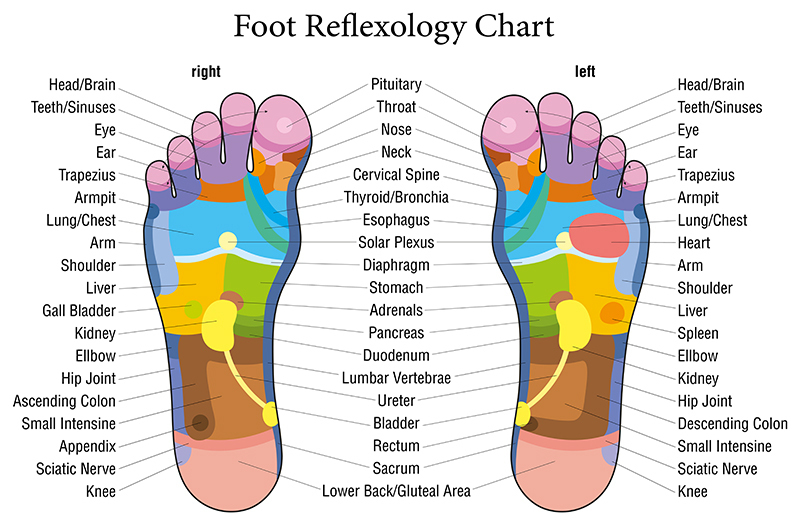 Using the chart below, you can learn to use reflexology on yourself before bed every night. Some people have even reported curing a cold or flu using these techniques. Check out the video below for a more detailed tutorial.